Convenience of services is one of the things that most people look for in a dentist Hinchinbrook. They want to go in, have their teeth looked at and any tests and treatments carried out under the same roof. Having any necessary fabrications done under the same roof is an added bonus that may not necessarily be found with all dentists. That is the difference that Design Dental makes. We are a dentistry service that deals in multiple specialties such that you can get treatment for sleep apnea and snoring, headaches and migraines and also oral bacterial inflammation under one roof. In addition to regular dental check-ups, we also offer other specialised dental treatments and with our onsite laboratory, we are able to fabricate dentures, bridges and crowns during your visit. In our team of dentists are experts in various specialties, all licensed and fully trained. We also have a great team of dental assistants that have put in the necessary training hours to get their licenses. Their work experience makes them absolutely fantastic at what they do. Besides offering you a professional service at dentist Hinchinbrook, we have also ensured that the atmosphere at the dentistry encourages relaxation. A visit to the dentist can create anxiety. For that reason, our caring staff is always on hand to offer reassurance. 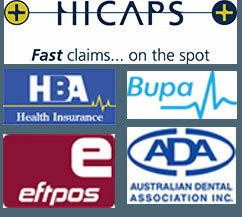 We also do everything we can to ensure that your experience with us is free of pain. Your comfort is our number one priority. Our commitment to excellence is unrivalled. We make sure that you are completely satisfied with the result and if not, we work until you are. With the wonderful team that we have on board, you can be sure that you will be well taken care of and that the services we give you will be the very best and the most affordable.